The Sahiwal University recently announce its admissions for the year 2018. Students will able to apply for graduate and undergraduate programs until 20 Feb 2018. We will soon upload the complete Sahiwal university merit list 2018 and entry test results here. 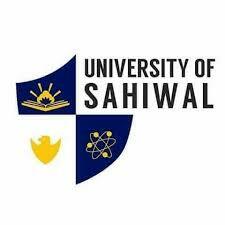 The University of Sahiwal is a public sector government institute located in the city Sahiwal of Pakistan. The Higher Education Commission and Pakistan Engineering Council approved Sahiwal University as a quality institute. Due to limited numbers of seats in Masters and MPhil programs the institute conducts it entry test from candidates. The institute will soon organize GAT test for applicants of Master’s program. The complete entrance exam results and selected candidates list will publish here on our page. The university conducts Undergraduate admission on open merit base. But for engineering programs the ECAT results matters. The admission and test details of the Institute is here below in the post. Click here for complete details of GAT NTS test 2018. Admissions to engineering programs will opens in FALL session. The administration officials opens all the programs in weekend session except MBA. GAT NTS is compulsory for all. The candidates of Master’s program will soon get the complete GAT test results right here after the official announcement. The test result will decide the merit selection of the student. Candidate have to score good in the perspective test for success. After the official announcement we will upload the complete 1st, 2nd and 3rd final merit lists of selected candidates here soon. Students mentioned in the list will successfully get admission after clearing the admission dues before the given deadline.